Hannah Sackett caught up with Gill Pawley of Inkpots to find out about the Inkpots comic club. Name of your Comic Club: Inkpots Comic Crew. Where do you meet and how often? We meet on Wednesdays at one of our after school clubs. How long have you been running? For about nine months. Which comics should we be reading right now? The Phoenix is a big favourite! We plan to have a big get together of all the Inkpots children who like comics and have a giant comics jam. 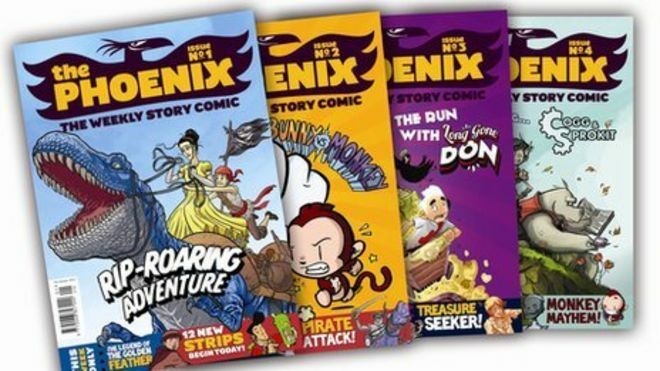 We also hope to have one of the contributors from The Phoenix come and run a workshop for us. Many thanks to Gill for talking to us and to comic crew members for sharing their cartoons! We’re looking forward to them reporting back on their giant comics jam! Previous Previous post: October Comics Challenge: CREEPY COMICS! Next Next post: LET’S ALL DRAW… Dinosaur Unicorns!